After comparing the best dedicated server hosting providers in depth, we compiled a table to give you stats at a glance. Whether you need the most CPUs for the lowest cost, the fastest dedicated server, or the best pick for Windows, you'll find it below. As you evaluate these server reviews, factor in ratings, uptime, and storage. Looking for something other than dedicated server hosting? Plenty of web traffic, performant hardware, proactive support — What are your dedicated hosting needs? Let’s rewind: Remember how you felt waking up the first morning after moving into a house that’s all yours, sans roommates? Every household decision was yours and yours alone to make — from how loud and late the music gets played to the alarm company you entrust your security to and whether to hire a maid and lawn service or do all domestic maintenance yourself. If you’re still in the throw-money-away apartment stage of life, I get it. I’m there, too. I’ve been dreaming about owning my own place since I was about 9 years old, though, so just follow along with me. Having your own space means having all the room to do whatever you want — and bearing all the responsibility should something go wrong. The same can be said for dedicated server hosting. Unlike shared or VPS hosting, dedicated hosts give you all the control over resource consumption, software installs, and (sometimes) network monitoring for your server, and you are solely responsible for the costs and management. 1. Understand the Basics — What is a Dedicated Server? A dedicated server is just like any other kind of server, but only one individual or company is hosting their site(s) on it. Rather than sharing bandwidth, storage, RAM, et cetera, as you would in a shared hosting scenario, you get all of the server resources allocated to you when you sign up for dedicated hosting. For the sake of total clarity, virtual private server (VPS) hosting is when a single server is partitioned to act as several dedicated servers. You’re still essentially sharing with neighbors, but if any one of them misuses the hosting environment, you’re not in danger. Flexible and favored among many hosting customers, Linux is powerful and performance-oriented. The best hosts for Linux will include the operating system, as well as support for Linux-friendly applications like Apache, YUM package management, and various programming scripts. We recommend InMotion for Linux dedicated servers. InMotion hosting includes enterprise-grade CentOS hardware, rebootless kernel updates, a free WHM/cPanel license, and 99.999% uptime. Liquid Web offers your choice of operating system, and they’re our favorite Windows host. If you choose Windows hosting, you should have a specific reason for doing so, e.g., you need to run a software that is solely Windows compatible. The Liquid Web Heroic Support® team offers incredible reliability for both you and your server. It’s human instinct to hone in on the cheap deals during any shopping trip, but heed my advice: Hosting is not something you want to skimp on. The good news is you can get quality, affordable services in the dedicated hosting market. Just know that you’ll get what you pay for if you aim for the cheapest in existence. Repeat after me: There is no such thing as a free dedicated server — not one that can handle all the things that dedicated customers typically need their server to process, anyway. 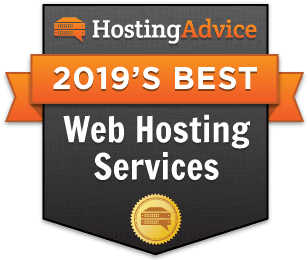 If you fall into one of the free dedicated hosting traps, you’re going to wind up so frustrated by the resource limitations and downtime issues, or your credit card is going to be charged out the you-know-what when the free trial expires in a week. Turn your attention to low-cost, high-quality options instead. You’re not wrong to want a reasonable cost for hosting your resource-intensive project. Lots of the best web hosts offer affordable dedicated servers that aren’t cheap quality! Hosts like InMotion, for example, pack plenty of RAM, CPU power, storage, and allocated IP addresses into each dedicated server plan, and package pricing starts right around $80 a month. No, this is not the lowest price tag you’ll find in the hosting market, but remember, dedicated hosting is the expensive hosting niche. You’re not sharing any of your server’s compute power or storage or bandwidth with anyone else, so you’re the only one paying for it all. To give you some perspective, we’ve seen some of the dedicated servers from the best hosts in the industry go for $2,000 a month or more. Basically, if you’re happy with the support, hardware reliability, and processing power, and your monthly costs are still in the double digits, you should be a happy camper. Whoever said “quality over quantity” was right most of the time, but not necessarily in hosting. Our experience tells us you can get a laundry list of features and resources for a low price point. The main perk of a dedicated server is not having to share with any hosting neighbors. If you’re shopping for a dedicated host, you probably need more disk space and processing power than, say, a shared host can offer. If you’re currently hosted on a VPS or cloud server, that last point is crucial. Ideally, you’d be able to scale up to a dedi server with your current hosting provider, but if, for whatever reason, that’s not a worthwhile option, your new host should make it easy for you to make the move to their services. Dedicated hosting customers have resource-intensive projects to host. Resource-intensive, high-traffic sites tend to also power important business missions, so if the site goes down, the site owner loses thousands of dollars, if not more. Since you’re probably expecting upwards of 100,000 monthly visitors, your hardware needs to be able to deal with that. Don’t skimp on CPUs or RAM! One last note on this: True 100% uptime is impossible. At the very least, you have to schedule downtime for maintenance. The most reliable hosts ensure that any downtime is minimal and has minimal, if not nonexistent, effect on their customers. I touched on this earlier, but dedicated server pricing can range anywhere from $75 to thousands of dollars per month. Where your project should fall in that huge cost spectrum depends on your expected traffic, in-house IT expertise, and storage needs. If you want top-of-the-line Dell servers running a Linux operating system, and you plan on managing the network yourself, InMotion Hosting is a good option in the $80 ballpark. They offer excellent support and exceptional server power. If you prefer to have your web host manage your server(s) for you, InMotion offers managed hosting as well. For a mid-range price, SiteGround offers some of the best support in the industry. They’re not the most expensive and not the cheapest, but the performance of their dedicated hardware is as substantial as the reliability of their team. Finally, if you want what we call premium hosting, with white-glove service and your choice of self-, semi-, or fully managed servers, Media Temple touts premier dedicated hosting you should consider. If limitless resources and guaranteed uptime are necessities for your business, and you’re willing to pay what it takes to get that peace of mind, MT is your winner. Managed hosting minimizes the amount of hands-on IT work you have to do. The level of management can vary from provider to provider. Some hosts offer your choice of semi- or fully managed services — and one host’s fully managed plan may be entirely different than another provider’s fully managed plan. All in all, management services may include, but are not limited to, hardware monitoring, software updates, security patches, and bug fixes. The main idea is your host worries about your hardware while you worry about your business, website, customers, et cetera. Liquid Web, Media Temple, Bluehost, and InMotion offer some of the best managed hosting services you’ll find in the industry. 7. Read Our Dedicated Server Hosting Reviews — Good Luck! The best advice I can give on the subject of selecting a dedicated server is to consult someone who knows more than you do on the matter. Ask long-time customers their thoughts on their experience with a certain host. Scope out what services other companies in your niche are using. Do your homework — specifically on the features I’ve harped on in the last 1,000 words or so. The bottom line: Now that you know what to look for, scroll to the top of this page and evaluate the best dedicated hosts to get started!